Can These Indigenous People Save Their Forest By Logging It Sustainably? Five hundred years ago, the Yine people were part of the Incan Empire, which spread over 2 million square kilometers and somehow functioned without money or markets. Today they’re scattered across the Peruvian Amazon, in villages like Bélgica, struggling to maintain their traditional way of life while engaging the market economy that has enveloped them. Until the 1970s, the people of Bélgica met that challenge in part by tapping the rubber trees that grow naturally in this part of the Peruvian Amazon. In fact, their village is named for the European country of Belgium, where much of their rubber ended up. But that business began drying up in the 1970s, and the people of Bélgica gradually, grudgingly turned to logging – sparingly at first, but more and more as roads came, bringing logging trucks and loggers seeking lucrative cedar and mahogany. In 2002, the people of Bélgica won demarcation of their territory, and with it the legal right to earn income from its products. They divided the territory into zones for commercial activities like rubber tapping and ecotourism, as well as pure conservation areas for traditional hunting and fishing. But logging was something they struggled with – morally and logistically. Specifically, certification under the Forest Stewardship Council, or FSC. You know those little labels you see on cabinets and tables and on boxes of paper? Environmental NGOs like WWF founded the Forest Stewardship Council in 1993, together with some forward-thinking timber companies, after the 1992 Earth Summit in Rio de Janeiro failed to deliver a real global compact. The idea was to create some sort of standard for sustainably-harvested timber to at least give the good guys a boost. It’s based on ten principles that stakeholders agreed would make it possible to extract valuable trees without destroying the forest, as well as auditing procedures to make sure the practices were being followed, and then labeling, so consumers would know the difference – and, hopefully pay extra for the good stuff, although that requires consumer awareness. Certification has, nonetheless, gained in popularity as companies sign on to “zero deforestation” pledges, committing to reduce or eliminate their impact of forests. More than 200 companies around the world rely on FSC certification to implement their commitments to protect forests, according to research by the Forest Trends Supply Change initiative, and many have found that certifications like FSC provide a host of other benefits like operational efficiency and increased yields. As FSC was taking shape, indigenous people all across the Amazon were creating so-called Life Plans, or Planes de Vida, which are something like a cross between an indigenous constitution and a development plan. It helps that Bélgica is located in the district of Tahuamanu, which is something of a sustainability success story, thanks in part to the Cardozo family. Three brothers and a sister, their parents settled there in the 1950s and become major landowners and political leaders, as well as proponents of sustainable development. 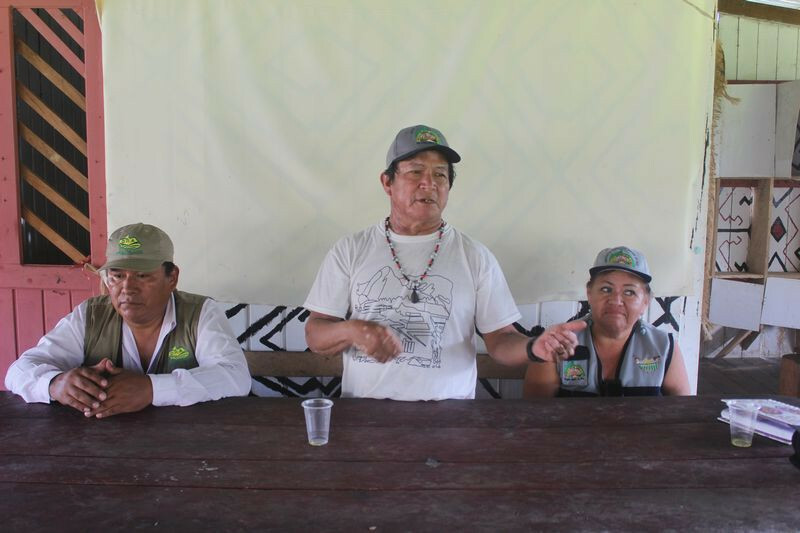 Alfonso Cardozo is the mayor of Iñapari, the district capital, and he lobbied to prioritize granting of concessions for groups that embrace FSC certification. It was he and his brother, Abraham, who persuaded the people of Bélgica to join FSC, and it was one of their companies that helped the Bélgicans create and execute the sustainable logging plan needed to earn FSC certification. That meant meeting the FSC’s ten principles – ranging from hiring comuneros, or members of the community, to meeting ever-evolving standards for good land management and equitable community relations. Lopez, however, says the Cardozos charged too much for their services, so the Bélgica ruling council switched to a second company, and then a third. 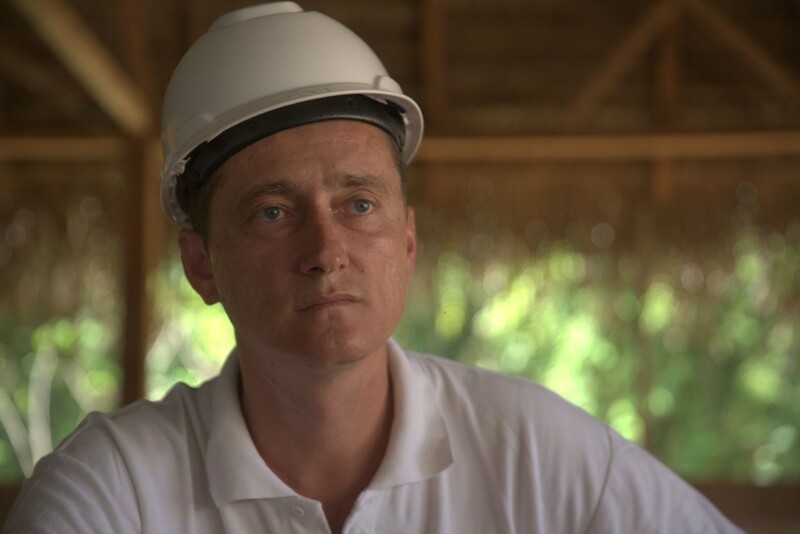 Today, says Lopez, the people of Bélgica get 80 percent of the income on timber sold from the territory, and the current partner, a company called Maderyja, has never missed a payment or been late. Seventy percent of Peru’s certified concessions are located in Tahuamanu, and the neighboring concession of Maderacre, in which the Cardozos also held an interest, is also FSC-certified – and more accessible by jeep than Bélgica’s. It spreads out over 220,000 hectares, divided into 20 plots of 11,000 hectares each, and the company works just one plot per year, so there are 20 years between harvests. The concession was cobbled together by a businessman named Erasmo Wong, who made a fortune building up Peru’s largest chain of supermarkets before selling the company and devoting his life to philanthropy and sustainable agriculture. Environmental NGO WWF has been working with Maderacre to monitor the impact of its operations on wildlife, and Josefina Braña, who runs WWF’s Forest and Climate Program, says the early indications are promising. The company uses drones to first identify valuable trees and record them in a forest inventory, then it sends out teams to survey the area from the ground. The trees and patches of forest are separated into different categories: some are classified as high-conservation value (HCV), which is an official designation developed by the Forest Stewardship Council in 1999, meaning they’re not to be destroyed. If there are seedlings or high-conservation trees near a tree they’re targeting, they map out a way to cut the tree so it falls where no seedlings or high-conservation trees are, but if that’s not possible, they make a note of that and move on to the next tree. We come to a massive mahogany that’s passed all the criteria for being chopped: it’s got the age (about 70 years old), the size (six and a half meters around and 30 meters, or about 10 stories, high), and the location (no seedlings or HCF areas in its path). It also, however, branches out about 18 meters up, so only the first six stories can be used for the kind of uniform wood that goes into furniture and flooring. Put another way, it’s 40 tons of biomass, which means 20 tons of carbon, which will become 73 tons of carbon dioxide if the tree burns or decays and mixes with oxygen in the air. That’s 14-times as much greenhouse gas as the average passenger car emits in a whole year of driving. About 40 percent of the tree will end up in flooring and furniture, which locks up 30 tons of that carbon dioxide, but what about the other 44 tons? That’s almost nine cars’ worth. This practice is also becoming more popular, and Supply Change data shows that, of 254 companies with reduced-deforestation commitments related to timber and pulp & paper, 56 of them incorporate sustainable waste management. That’s good for the climate, because healthy soils absorb carbon, as well as nitrogen and hydrogen, and they reduce levels of carbon dioxide, nitrous oxide, and methane – three powerful greenhouse gasses. A landmark study published in 2016 showed that we can get 37 percent of the way to meeting the global Paris Agreement’s 2-degree target just by improving the way we manage forests, farms, and fields. That study, called “Natural Climate Solutions” identified 20 specific pathways to doing that – one of which is sustainable forest management, the essence of FSC certification, and another of which is improving soils. These natural climate solutions deliver more than one-third of the mitigation needed to meet the climate challenge, but they get just 3 percent of dedicated climate finance and 1 percent of climate-related media coverage. To ensure the tree will fall in the right direction, the logger first grinds his saws vertically into the base, which spreads out like a duck’s foot. The result is aa kind of wall of wood on the sides of the tree opposite the intended direction of the fall, followed by a notch-cut to ensure these 40 tons will fall where he wants them to. After it lands, workers begin chopping in and marking it with alphanumeric codes to identify the tree according to the forest inventory, the section of the tree, the date it was chopped, and of course the concession. The concession began marking the trees to prove its origin for FSC certification, but traceability has become a legal requirement, too, because the European Union and the United States have both banned the import of illegally-harvested timber. 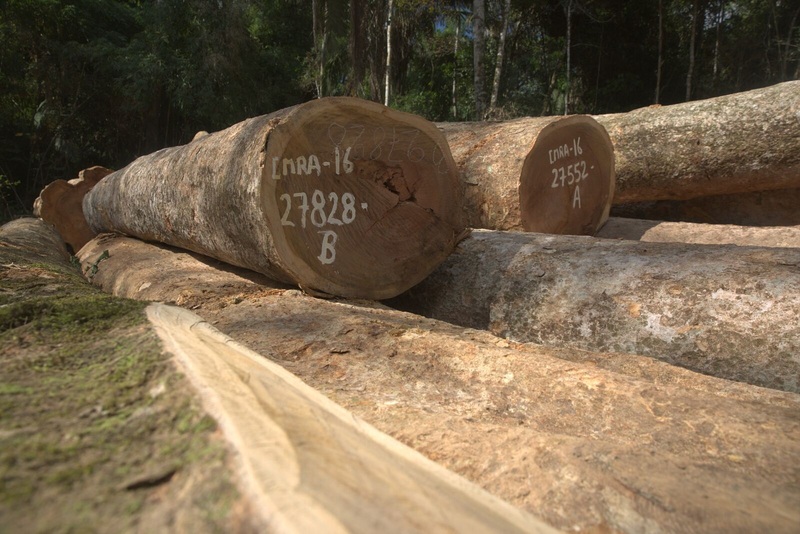 As a result, exporters are supposed to trace their timber to legally-sanctioned concessions. That doesn’t, however, always happen. A 2014 analysis by Ecosystem Marketplace publisher Forest Trends, for example, looked at tropical deforestation from 2001 through 2012 and found that roughly 49 percent of all agriculture-related tropical deforestation in that period took place illegally, and roughly half of that illegally-harvested timber was exported. That same year, a global coalition of corporations, NGOs, Indigenous Peoples’ organizations, and governments – including those of both the federal government of Peru and the state government of Madre de Dios – endorsed the New York Declaration on Forests (NYDF), which is a pledge to end forest loss by 2030. The NYDF is broken into ten goals, with #10 being improved forest governance, and today a coalition of environmental think tanks called NYDF Assessment Partners published updated findings on progress towards Goal #10. Tragically, they found that not much has changed. Specifically, the report, called “Improving Governance to Protect Forests”, finds that law enforcement has improved slightly since 2014, especially on the demand side, and that traceability has also improved, but that average deforestation rates increased 42 percent since the NYDF was signed. Countries like Peru, which has a sketchy history on this front, are trying to protect exports by improving enforcement – although the effectiveness of that is limited, too, because countries like China don’t put much effort into verifying legality of imports. “There can be no effective global approach without the support and participation of China, the world’s largest importer of timber and exporter of forest products,” says Kerstin Canby, Director of the Forest Trends Forest Policy, Trade, and Finance Initiative. The experiences of Tahuamanu show that sustainable forestry works, but it needs to be scaled up if we’re to meet the climate challenge. 024 | Can Office Supplies Giant Staples and the Dogwood Alliance Save Appalachia’s Forests?